Reasons to Train with Us? Learn hypnosis in Scotland in a small group setting. 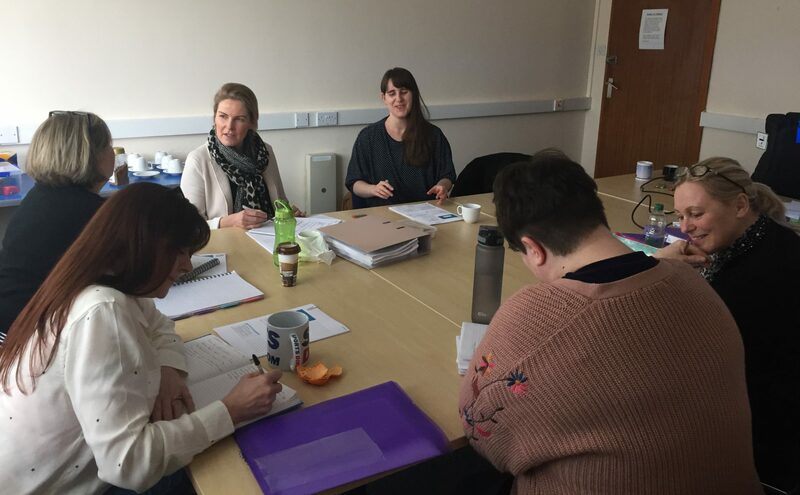 Our class sizes are limited to no more than 8 to allow small group work, meaning that you will be given lots of individual attention, encouragement and feedback. The UK Academy Scotland is a Satellite School of the UK Academy of Therapeutic Arts and Sciences which is a national group of 11 training centres, so you can be sure of a secure structure with plenty of support available before, during and after your course, not just from your trainer, but also from the other trainers. You will gain 3 highly respected qualifications – HPD, Dip (CAH) and PNLP in 10 months. “I loved my experience with the UK Academy Scotland. 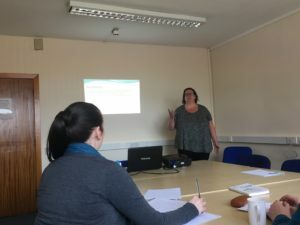 Heather not only taught me all about hypnotherapy, the course also included NLP, marketing, ethical practice, psychology and how to ensure the best outcomes for future clients. All this and the course was well paced, supported by quality notes and handouts and included lots of practical exercises. Heather herself was friendly, enthusiastic, committed and approachable. I would recommend this course to anyone thinking about becoming a hypnotherapist“. “I have just completed the UK Academy course in Clinical Advanced Hypnotherapy and found it to be an amazing course. It was challenging and thought provoking and allowed me to broaden my personal and professional horizons significantly. The small tutorial group setting, facilitated by Heather, provided the perfect support group for discussion and debate and ensured that we were constantly pushing ourselves, and each other. I would recommend this course to all interested parties. It’s not a easy ride, but it is worth it”. “Training to be a clinical hypnotherapist was challenging. It is a lot of work and a huge time commitment and I genuinely could not have got through it without the support of my Principal Teacher, Heather Hutchison. She is so experienced and patient which means she can advise you on how to improve your skills. Heather also instills the importance of always taking an ethical approach to your therapeutic practice which I believe is the best foundation to being a good hypnotherapist. I appreciate all the support I have received this year and am so delighted to be embarking upon my new career thanks to the UK Academy Scotland“. “I’ve just graduated with an HPD from the UK Academy, Scotland. It’s been hard work over the last ten months but its been an amazing learning journey. Heather, our tutor is a wealth of knowledge,a lovely person and most importantly a fantastic teacher. The UK Academy HPD is the only externally verified qualification in the UK so it is very credible.. I am looking forward to moving into practice safe in the knowledge that I will be supported by my supervisor. I am also bound to undertake 15 hours of professional learning every year. This means I won’t be resting on my laurels but will be constantly improving my skills. I can’t recommend UK Academy Scotland highly enough“. “Fantastic Course. Learned so much about myself and hypnotherapy. Heather knows her stuff. I now feel confident and skilled enough to embark on a new career in hypnotherapy and NLP. A life changing experience. Thank you Heather”. 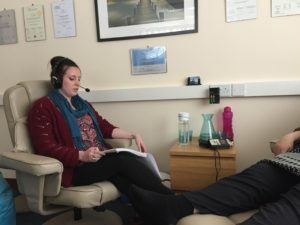 “I have recently completed the ten month Hypnotherapy Practitioners Diploma with the UK Academy training school and can testify that if you are considering completing your HPD that you need look no further. The course has a good mix of practical and theory, with the students learning how to practice hypnosis from day one. The training content is well put together, and is carried out in a professional manner. Marketing strategies for new hypnotherapists were taught as part of the course, and NLP is covered in the last two months of the course. I would say that the UK Academies training course leaves their students well equipped to go on and have a successful career as a clinical hypnotherapist”. which will enable me to use hypnotherapy. The course is well structured and delivered to a very high standard. applicable to helping people as a qualified hypnotherapist. with all the necessary skills and knowledge in order to be as successful as possible. “I have enjoyed the course very much and will miss our monthly learning sessions. I found the training, the pace, the approach and your relaxed style of training conducive to our learning. You are very professional, extremely knowledgeable and so practical in your approach. Every weekend was delivered in an organised and informative manner with practical exercises and with the demonstration of your experience and skills apparent. You certainly have set the benchmark for us all. I only hope that I become as good a hypnotherapist as you one day. Thank you for all your input, delivery, support, student counselling and coaching. You are a natural trainer and supervision counsellor. I wish you continued success in your training academy as the standard you deliver is extremely high”. “If you are looking to do a Diploma in Clinical and Advanced Hypnosis then I would recommend the course run by the UK Academy Scotland. The course combines theory and plenty of opportunity to practice. Heather who runs a successful hypnotherapy practice uses her knowledge and experience to bring the course to life. She gives lots of great nuggets of information to give her students the knowledge, skills and confidence to practice hypnotherapy safely, ethically and successfully”.